Klipspringer has built an enviable reputation across the industry by consistently delivering reliable support for a wide range of instrumentation, on time and at a realistic cost. Working within ISO 9001 and ISO 17025 certification regimes focuses our technicians’ time and quality standards in recognition of our customers’ goals for compliance. 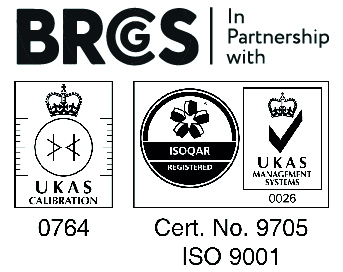 Our own in-house calibration laboratory is UKAS approved for temperature calibration in accordance with International Standard ISO/IEC 17025:2005. In 2013 the company commissioned a separate in-house calibration laboratory to provide ongoing service and certification facilities for our electronic food oil monitors. Klipspringer is now an approved BRC partner further endorsing us as a first class provider of products and services to BRC's Global audience. Sending your thermometers, dataloggers and other instruments to Klipspringer for Service and repair couldn't be easier. Contact Klipspringer with details of your requirements. A goods return form and booking reference will be emailed immediately. Print off and enclose with the equipment and send to Klipspringer laboratories. On arrival details of equipment are carefully logged. On completion of a full assessment, an itemised service report / quotation* will be emailed. On receipt of approval and confirmation of purchase order number, the equipment is completed and returned by traceable overnight courier service.